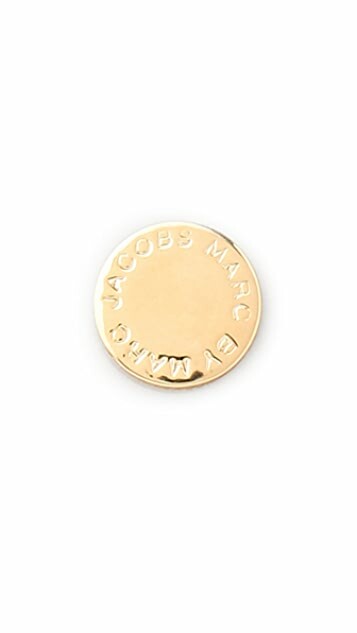 These gold-plated post earrings feature logo lettering at the disc. i'm totally in love with these. i thought that they were a little bit larger, as it is shown in the picts! but anyway, i m really glad i bought them! I thought these earrings would be thinner and more rugged looking in real life but they are actually solid, thick and look polished. They are great for every day wear and look expensive. 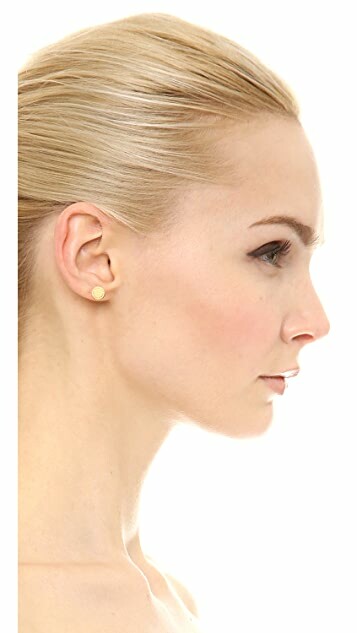 As a caucasian with yellow tint to the skin tone, I found these earrings very complementary to my overall look. They are a very "realistic" golden and pretty but classic. Only thing I went a bit "eh" over was the size. They were smaller than expected but I don't mind too much - they are, after all, good regarding everything else. I'm very happy with these gold stud earings. They cover a smallish earlobe nicely with just the right amount of shiny bling. 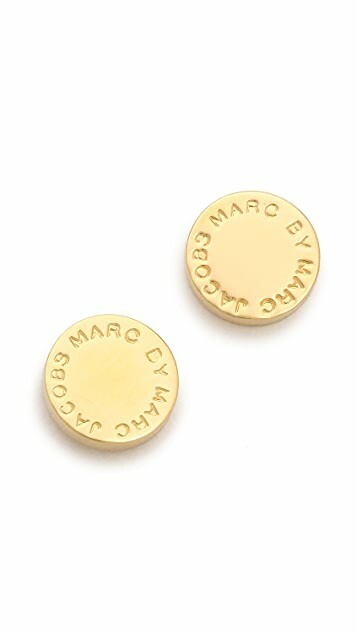 Can't go wrong with a pair of basic gold studs! Very solid with just the right amount of branding!